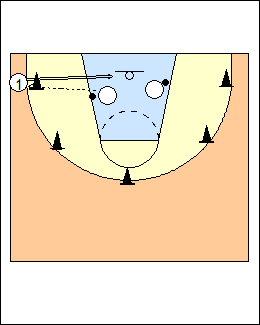 One minute, two balls, two rebounders/passers. 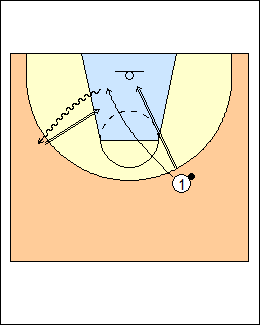 See Shooting - Triangle elbows. 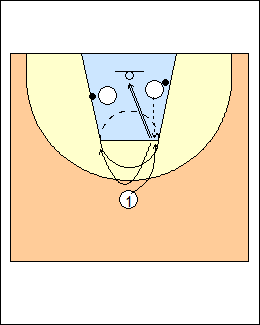 Three positions (left wing, top, right wing), get the ball 2 metres behind the 3-point line (use markers), take 5 one-dribble jump shots going left then 5 going right from each position for a total of 30 shots. Take 10 shots from the left corner, left wing, top, right wing and right corner. 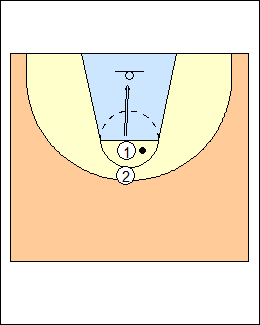 There can be 2-3 shooters going at the same basket, re-take any shot that hits another shot. 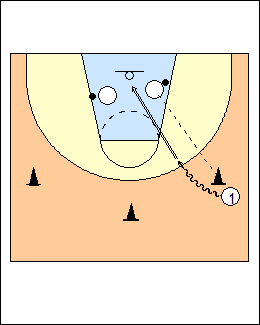 See Shooting - 50, 2-minute, Florida 3-player, Bigelow 13 spots, Streak. Taylor Allan - 60-second shooting - solo shooting, make as many 3's as you can in 60 seconds (variation - shoot 3's or 15-foot shots with regular scoring). See Shooting - 50 makes, 5star circus, also YouTube video - 3 shooting challenges (5-minute shooting). Players shoot 15 sets of 2 free throws.